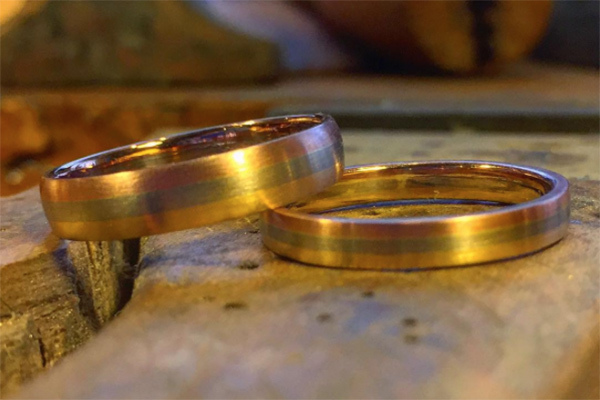 Custom laminated rose, white and yellow gold wedding rings. Left wide band: $1280. Right narrow band: $845.